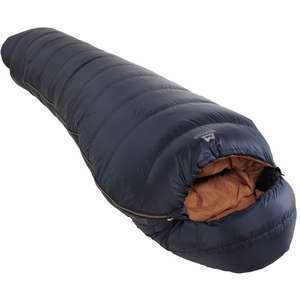 Mountain Equipment Helium 250 down sleeping bag, Black Friday deal £133.95 All Outdoor (with further 7% Quidco). I'm very pleased to have been able to help. Just wanted to say thank you yidiyada . 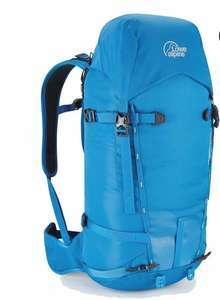 Although I missed this product, because of this deal (I had never heard of Mountain Equipment before) I searched and got two ME Starlight III bags for £49 each from GoOutdoors. Had to travel to get them but for the price I felt it was worth it, what with the quality and the value. The ethical sourcing of the materials is a big deal to me, so am delighted. You cannot go wrong with Mountain Equipment (do not confuse with Mountain Warehouse). This is a nice 3 season bag if you follow the comfort limit as a male. If you're new to higher cost higher spec outdoor gear it has a good weight and pack size as noted by Yadiyada. If you're wanting something that reaches to -3 comfort limit the Helium 400 at £25 more with 150g weight increase. Totally agree. I've got a Wolfwise MSR Hubba Hubba clone. Cost me £69.99 from Amazon. It is the same weight, has been through some bad Norwegian weather - and is still in perfect condition. Aside from the woefully bad pegs (embarrassed) But yes, I really can't stomach the thought of sleeping or wearing something that has caused serious and avoidable animal suffering. I also just trust ME bags having had mine perform so brilliantly over the past 2.5+ years. Good luck, I hope you get your bag and thanks for sharing the deal. Dluke1 - surely when you've had the despatch email the order should go through. 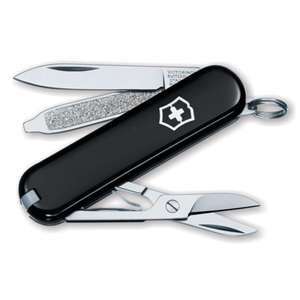 I got mine when I was in Switzerland. Most come with free engraving. This is apart of my keys. The scissors and screw driver are so handy. That’s a decent price: I have a blue one, never leaves my pocket. So handy, use it more than I thought I would. Been searching for something like this for a while. £35-£45 elsewhere. Heat added, looks like a good alternative to the Osprey Farpoint 40 (I posted the recent deal). I have a not sisimilar bag from Eastpak that was my go to bag, before the Osprey, which provided excellent service during nearly 2 weeks in Japan. The Eastpak opened like a clamshell/laptop which the Osprey doesn't which was a plus - not sure if this does? I would say the big plus of the Osprey over bags such as this Vango (and others from Lowe Alpine, Easpak etc) is the shoulder straps are a notch above together with the Osprey warranty. They've really improved this, bit too expensive though. I still didn't buy.. Shall I wait and what is the cheapest I can get it for?